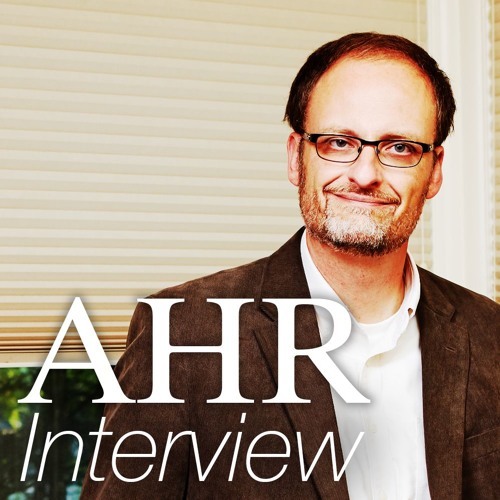 In this episode of AHR Interview, our guest is University of Michigan historian and recent MacArthur Fellowship recipient Derek Peterson. Peterson’s research focuses on the colonial experience in eastern Africa with a particular focus on the various intellectual cultures that developed through this period. He is the author of the 2004 book Creative Writing: Translation, Bookkeeping, and the Work of Imagination in Colonial Kenya and the awarding-winning 2012 book Ethnic Patriotism and the East African Revival: A History of Dissent. He speaks with Indiana University professor Michelle Moyd, whose own research likewise focuses on eastern Africa. Best most-obvious/least-followed advice from Derek Peterson (in my own experience, at least): "you can't start writing until you know what you have." Great interview, Michelle and Derek.